New Delhi: Finance minister Pranab Mukherjee said on Friday he would decide when to withdraw the fiscal stimulus, put in place by his ministry to support faltering economic growth earlier this year, only after the release of the third quarter data on economic growth, which is expected towards end of February. 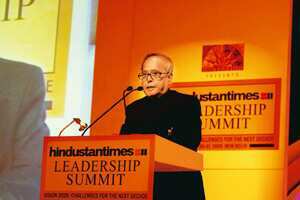 He was speaking on the first day of the two-day annual Hindustan Times Leadership Summit organized by HT Media Ltd, which publishes Mint. In his speech, the finance minister described consumer price inflation as being “reasonably high". He also said it may not be possible to adhere to the 1 April deadline to bring in the goods and services tax, or GST. “I will not be surprised if there is a delay of a few months," he said. GST is a nationwide tax to be paid by consumers on their purchases and is to replace the current patchwork quilt of state levies that prevents the emergence of an integrated national market in India. The tax will be introduced only after a much-delayed deal between the Union and state governments gets finalized. First of all, the bilateral relationship forged with previous prime ministers is important for America and I believe it is good for the region and good for the world. India is an important country and it is one with which America shares values. Secondly, its importance is becoming more relevant as the world recovers from the economic downturn. I think historians will look back and say that isn’t it interesting that one of the reasons behind the recovery is India and other emerging countries like her. That would not have been said 20 or 30 years ago. So, India is a country of vital importance. It is important for peace and prosperity. 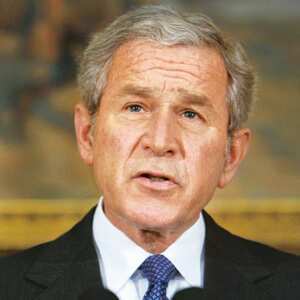 By far you are one of the most popular US presidents in India. That is primarily because of the initiatives you undertook to take the relationship between the two countries to an entirely new level. Do you think this intensity can be sustained? I do. President (Barack) Obama has made this clear in some of his comments. I believe that US-India relations will be based upon mutual respect and we will find areas that we can move forward and obviously there will be some areas of disagreement—but it will be done in a very respectful way.